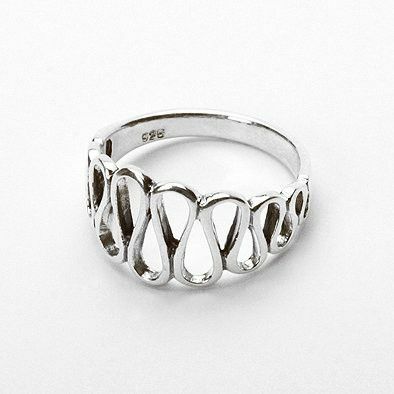 This charming ring is the perfect compliment to any outfit. 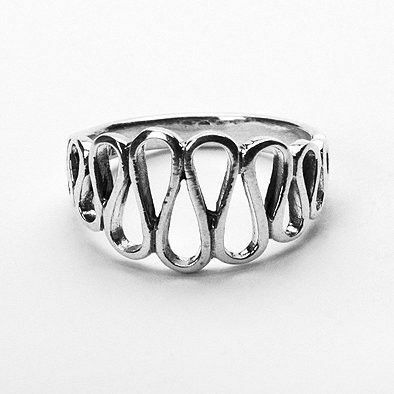 It features a design of genuine .925 sterling silver swirls. The face of the ring has a length of 7/16" at its largest point.